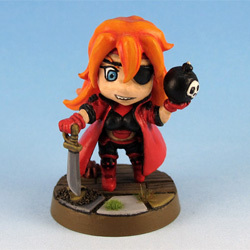 Another one of the SDE Relic Knights crossover minis from Kickstarter. 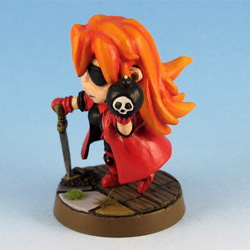 The little crab on the base is from Freebooter Miniatures. Exlosions! 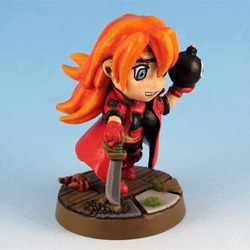 Calico Kate bursts into Super Dungeon Explore to the boom of her trademark love of mass destruction. 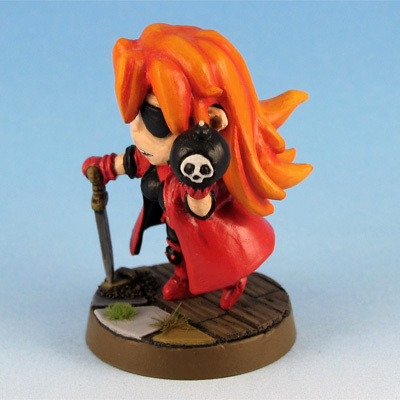 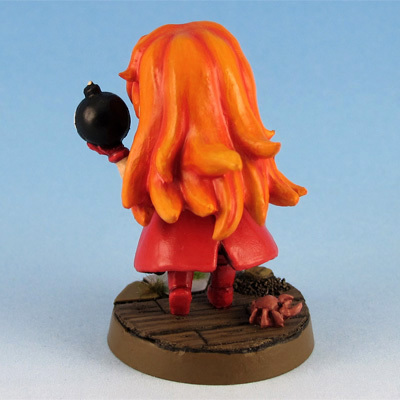 Her pirating skill ensures that she can plunder the best loot from even the stingiest dungeon minions.